I know you’re really busy right now. Between chimney drills, motivational classes for the reindeer and making sure that Mrs Claus isn’t feeling too neglected on those cold nights in the North Pole I’m surprised you’ve even got time to check that list once- never mind twice. I know you’ve got the elves to help (with those first two tasks not with Mrs Claus part. Unless she’s into that) but let’s face it, my red suited friend, the buck really stops with you. You’ve done a damn fine job so far though. Keeping up with the toy trends over the generations is no mean feat! From Slinky Dogs to iPods you always knew what was going to be a hit. Except that year you gave me an Action Man. I don’t like Action Man. For a man of action he had a few too many accessories for my liking. Now, Santa, you strike me as a man, like my good self, that enjoys a drink. I’m just going on the fact you have an ever- so -jolly demeanour and constantly flushed red cheeks and nose. You have a stressful job and it’s understandable that you need to relax sometimes. Most of the Christmas treats I’m after are in the field we’ll call “booze”. Surely even if some of them are a bit hard to get hold of you could rummage around your personal spirits cabinet and rustle up some magic? I mean if you can get into any house in the world surely security at any whisky warehouse would be a piece of cake (or piece of mince pie if you prefer)? First up is a whisky a little bit personal to myself. This year I turned the big old 25 making me born in the year 1986. What a year that was- the year that scientists tried to prove Nessie didn’t exist by submarining around Loch Ness. They found no evidence that she does but I’m pretty sure she was just hanging out with you and the Easter bunny during your annual Planet of the Ape’s movie marathon. Now what I’d like you to bring along on Christmas Eve would be a bottle of the lovely Glen Garioch 1986 which is also 25 years old. It’s like my twin! Only with the amount of whisky I consume I think my body has a slightly higher abv. If my maths is right (which it generally isn’t) there are only 3000 bottles being released and if you could find a way to procure one for me it’d be ever so good of you. It’s a return to the old smoky style Glen Garioch had and sounds like a tasty treat for anyone- but for me in particular! Otherwise if you could provide me with the £125 it’s likely to cost I’d be eternally grateful. Next up we mix passions from my childhood and my more adult life. Remember Ghostbusters? It was awesome, wasn’t it? It taught me never to cross one stream of a proton pack with another. A valuable lesson that has served me well in life. Well Dan Aykroyd, who not only co-wrote but starred in the film, has recently ventured into the world of spirits- but not the sort that were in film. The sort you drink. He has released a Vodka that is in a Crystal (it’s not. Its glass) Skull! Like in Indiana Jones 4 but a lot less rubbish. 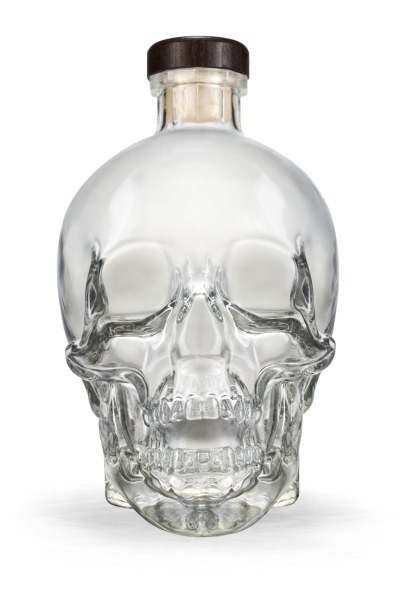 Not only would this bottle look amazing on my shelf but I need a bottle of Vodka for the old spirits cabinet. It’s also filtered through 500 million year old crystals!!! Why wouldn’t anyone want this? You can get it here for £54.45. Even the greatest of believers know that your powers are limited. You’re not a genie after all. Only they have unlimited power. 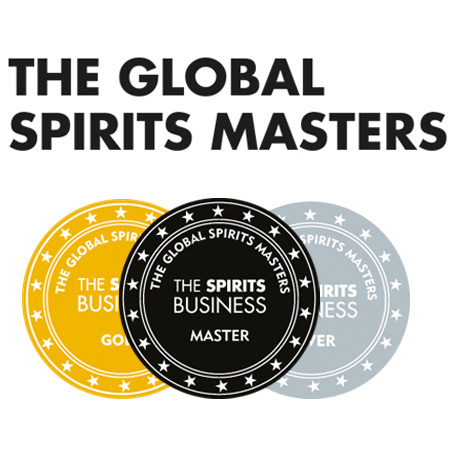 If you could find some way to maybe get in touch with lovely people at the whisky companies here in Scotland I have some ideas for them that might just revolutionise the world as we know it! Well maybe not but it would certainly make for some interesting whisky. Why not try out a Guinnes seasoned cask? 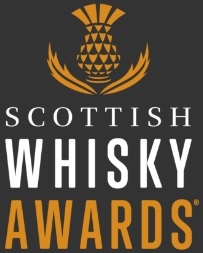 I’m thinking that Talisker or Oban would be terrific for this little experiment! While we’re at it let’s try a Johnnie Walker that’s been married in a Rum cask. This year saw the launch of The Naked Grouse so why don’t we try The Virgin Grouse where all the whiskies come from new oak? I’d love to see the results of trying out a Scotch whisky that’s been aged in an ex-Japanese whisky cask. Possibly a Global Blend? Really all I’m looking for is for you to stir the imaginations of the people that make the stuff so I have more stuff to try and geek out over. Well I’ll let you be. All the best. Try not to overdo it with pies, biscuits and alcohol as you nip around the world. You got to watch that waistline if you want to fit down those chimneys. Give my love to Mrs Claus and your slave elf army! This entry was posted	on Friday, December 16th, 2011 at 8:15 pm	and is filed under Miscellaneous. You can follow any responses to this entry through the RSS 2.0 feed. Responses are currently closed, but you can trackback from your own site.